Tirupati Temple or Tirumala Tirupati Devasthanam or Sri Venkateswara Swamy Temple is one of the most holy place in the world. 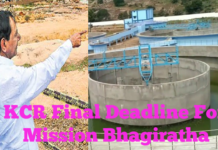 The temple is located in the hill town of Tirumala, Andhra Pradesh state. 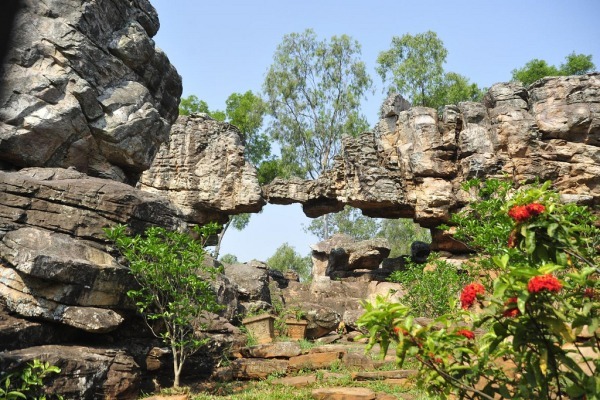 It is one of ancient temples in the world which was said to build in 300 BC. 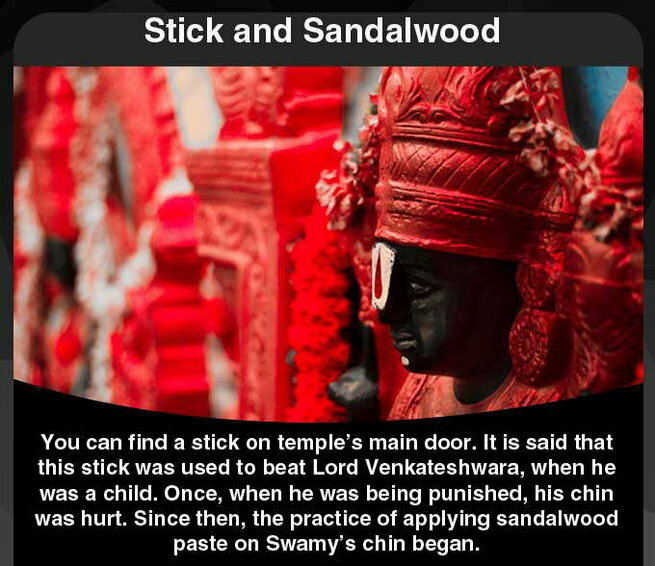 There are lot of stories and legends regarding the temple, one of those legends is the deity of Lord Venkateswara which is inside the temple is believed to remain until the end of Kali Yuga [Present Age]. The Tirumala Temple has seven hills, these seven hills are considered as heads of Adisesha (a seven headed snake god). 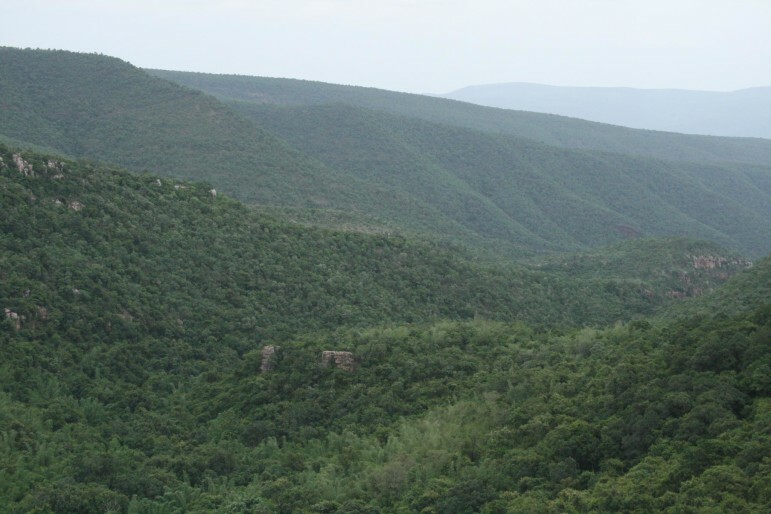 All these seven hills are named after the heads of Adisesha, they are Seshadri, Neeladri, Garudadri, Anjanadri, Vrishabhadri, Narayanadri, and Venkatadri. 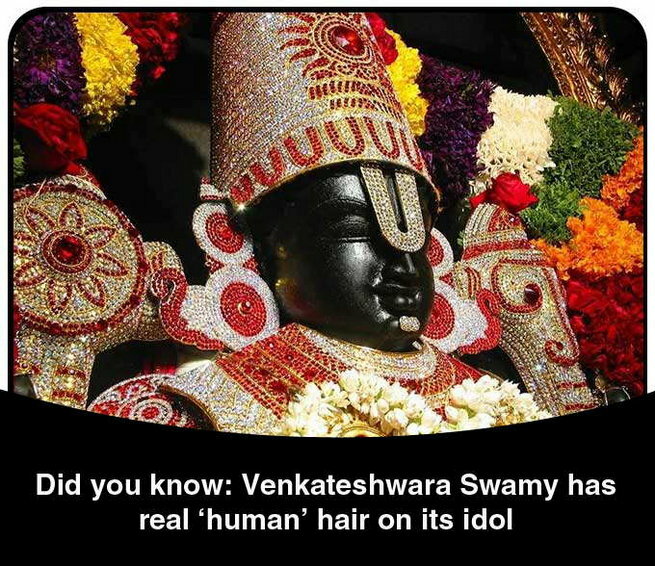 3) It is said that there is a real hair on the idol of Lord venkateshwara and the hair never tangles and is silky smooth always. 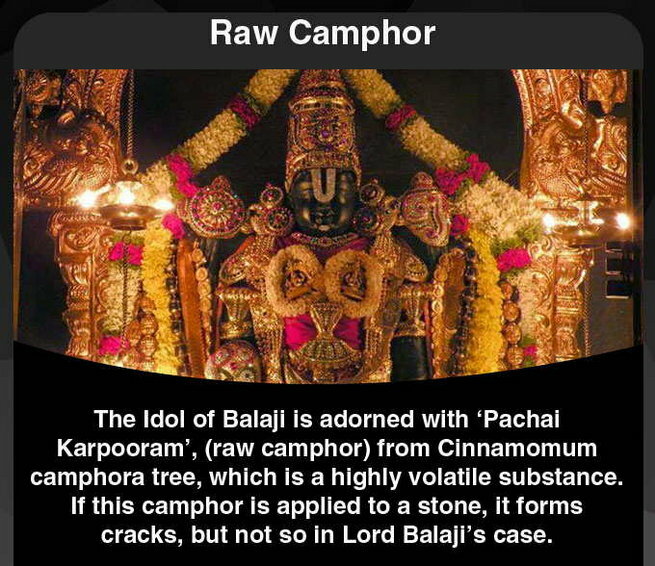 4) A Chemical ‘Pachai Karpooram (Cinnamomum camphora) is applied on the idol of Lord Vishnu every day. The fact is that, if this chemical is applied on a stone, it will form cracks on it. 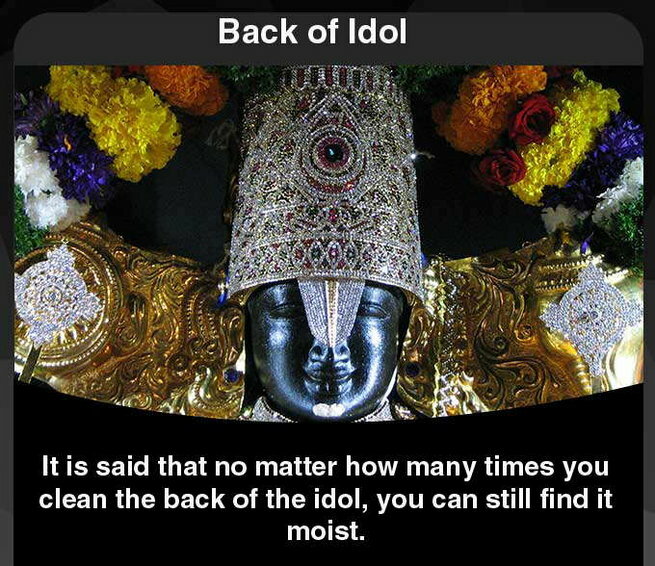 But when this is applied Lord Vishnu idol, surprisingly there are no cracks or damages happened to the idol. 5) There is a secret village near the temple in Tirumala at a distance of approximately 23 kilometers, where no outsiders/other peoples are allowed except the residents of the village. 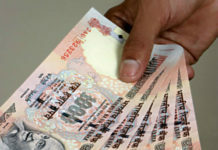 The residents are said to be living with strict practices and tradition. It is said that from all the flowers, milk, ghee, butter that are offered to worship Lord Balaji comes from this village. 6) It is said that after the pooja is over, the flower used for the pooka were thrown in the waterfall back of Lord Balaji, and the pujaris won’t look at Swamy’s back that entire day. 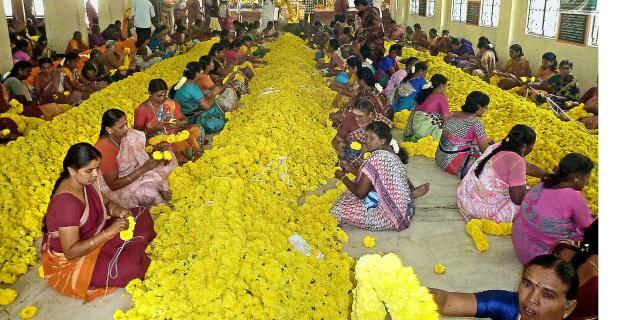 All the thrown flowers can bee seen floating near verpedu (near kalahasti) which is nearly 20 km distance from Tirupati. 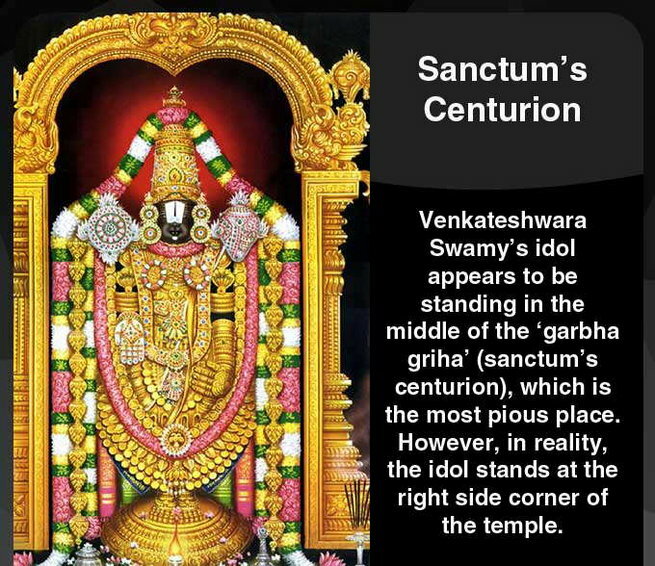 7) Lord Venkateshwara idol appears to be standing at the center of the Garba Gudi. But actually, Lord Vishnu stands at the right side corner of the Garba Gudi. This can be noticed from standing outside. 9) The oil lamps/deepa/diya lighted in front of the Lord Venkateswara idol are said to be light lit since thousands of years. 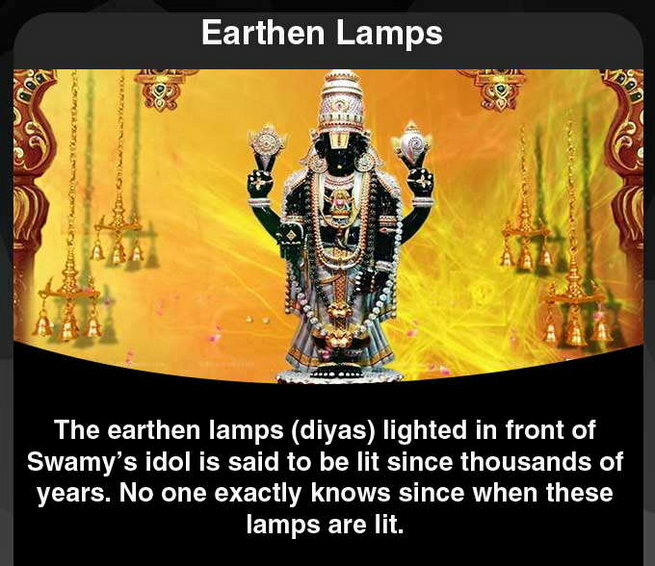 It is also said that the temple pujaris never ever put off the lights and no one particularly knows when and who lit these lights. 10) It is said that, the temple was closed completely for twelve days During 1800’s, because King who ruled that time said to have punished twelve people by killing them and hanging them on the walls of the temple for doing the un-sacred thing at the temple. 11) The tirupati temple is at height of 3k feet where the temperature is low, but it said that It is said that the Lord Vishnu’s Idol always maintains a temperature of 110 degrees Fahrenheit. 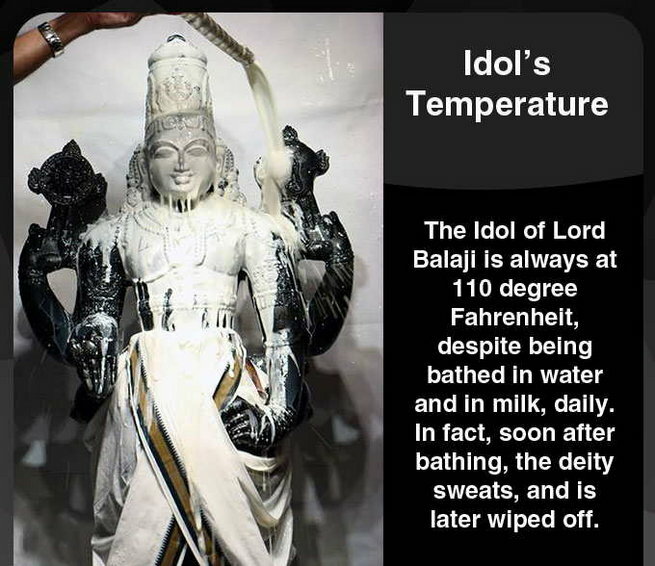 Even after the bathing (Abhishekam) the idol with water, milk, oil, etc the idol temperate never dropped.